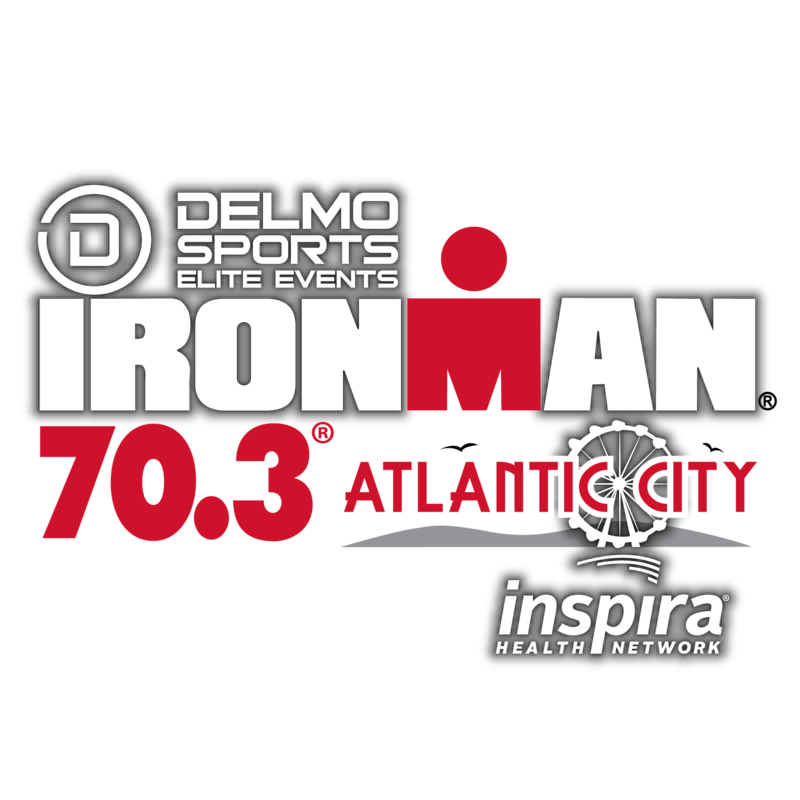 Swim: The IRONMAN 70.3 Atlantic City triathlon begins at sunrise with a single loop, 1.2 mile sheltered swim in the beautiful back bays of Atlantic City, located between the mainland and historic Bader Field. Framed by the Atlantic City skyline, spectators may view the entire swim course from the shore. Expected water temperature is 70 degrees Fahrenheit. 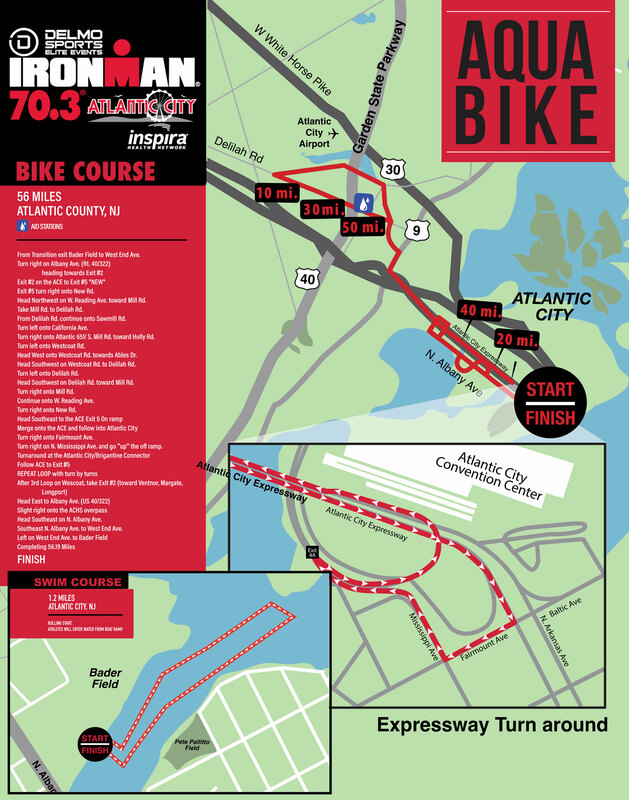 Bike: This 2.5x loop bike course will take athletes INTO Atlantic City via the Atlantic City Expressway with dedicated lanes, which athletes will ride toll-free! Thank you for racing with DELMOSPORTS!